I’m not generally one to engage in all-out acts of improvisation and storytelling; however it occurred to me at the weekend that a little bit of freeform play might assist with rounding out characters for our current Call of Cthulhu 7th edition campaign. I had an interesting session in my run of Beyond the Mountains of Madness yesterday, going a little off piste with a character development session. Two players couldn’t make it for various reasons and had told me as such at the weekend, so I had a chance to consider what I might do with the evening. With a 3-hour slot, I planned to divide the evening between the 3 players available, about 45 minutes a piece. I had a thorough look through their character sheets on Sunday and then cross-referenced to some of the background information in BtMoM. We have Georgiana, the Socialite; Angus, the Scottish mechanic; and, Bruce, the Australian photographer. The first slot I ran involved Georgiana as a 9-year old travelling with her father in Europe, in 1913, seeking to secure a business deal with Percival Lexington. In BtMoM, Acacia Lexington is a competing expedition lead with her own plans and a thorn in the side of James Starkweather. The second slot involved a Costa Rican expedition by Professor Moore in 1930, including Starkweather and the photographer Bruce. An earthquake tested the resolve and ingenuity of the team, showing something of the personalities of the 1932 expedition leads. 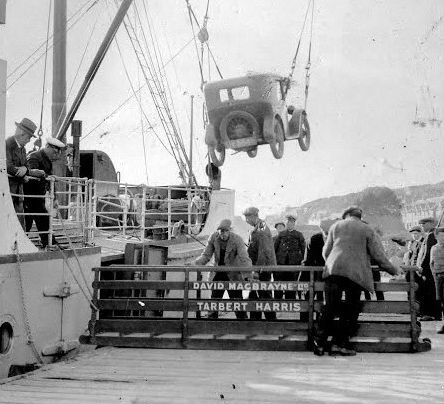 The third slot found Angus transporting a car to the Isle of Harris for William Lever, 1st Viscount Leverhulme. Angus found William hosting a visitor, a certain spiritualist expert by the name of Arthur Conan Doyle, intent on establishing meaningful communications with the Other Side. In a perfect world, I would have run this session during the day and in a quieter environment. Monday evening tends to tax those who experienced a tough day at work or maybe didn’t get such a restful weekend. The first slot ran the best and the interaction between players flowed well. In each vignette, the other players took on other key characters. So, the first involved Georgiana’s father and her older brother, for example. I think everyone came away with something new to add to their character sheet. Whether thoughts upon their beliefs, new certainty about their motivations, or an interesting new rival, it all helps round out a page of numbers. Georgiana, for example, now has a rivalry with Acacia that might well rival that of Starkweather.